Takkal stood looking at the maze of shore lights in front of him. “How you know your way into this harbour?” he asked the younger brother who was helming the boat. “I look for light,” came the answer. “Yes, but which light?” asked Takkal, not trusting in the will of Allah for guidance. The green light he was referring to was set three metres up on the wall of a restaurant in the street leading into the village from the slipways. The street, being narrow, restricted the view of the light from the sea, thus giving sure guidance into the approach channel. “Yes I see. Do not lose sight of it,” Takkal replied sternly, inwardly, and for the first time in many years, sending a silent prayer of thanks, as his eyes picked out the ragged rocks either side of the entrance lit by the glow of the village lights. Further into the harbour entrance the helmsman closed the throttle of the engine and pointed to his brother, then to the dinghy. In two quick moves the little craft was launched over the side as the fishing boat slowed. Takkal shook his head in disgust and reluctantly made his way to the side of the boat. 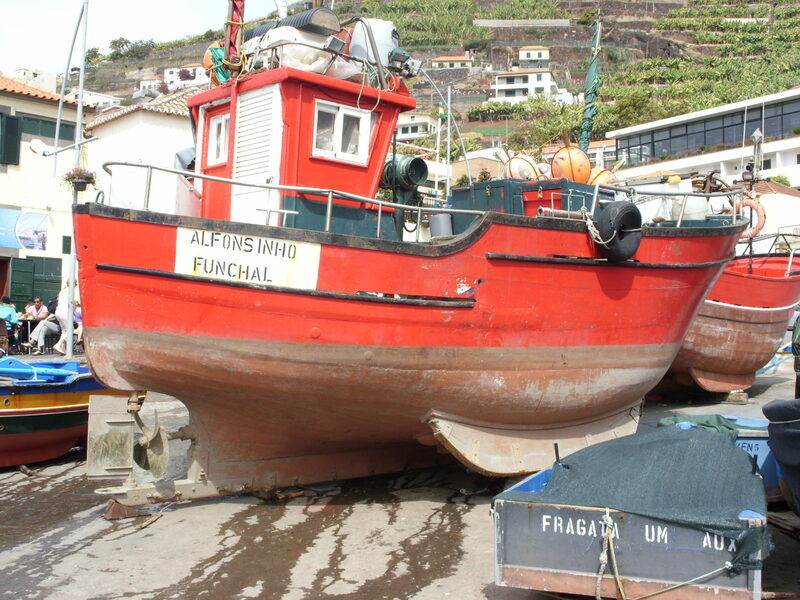 A typical fishing boat of Madeira. The brother helped them over the side and lowered their bags to them. Then the fishing boat moved away and in a few yards turned to port and headed for the quay, whilst Takkal took up the oars again and rowed them ashore. At one o’clock in the morning the slipways were deserted and their arrival passed unnoticed, much to the relief of both men. Though their jackets and trousers were crumpled and stained they did not stand out, in fact they blended in so well with the few working fishermen about in the streets that their hosts had trouble finding them an hour later, only identifying them by their baggage. 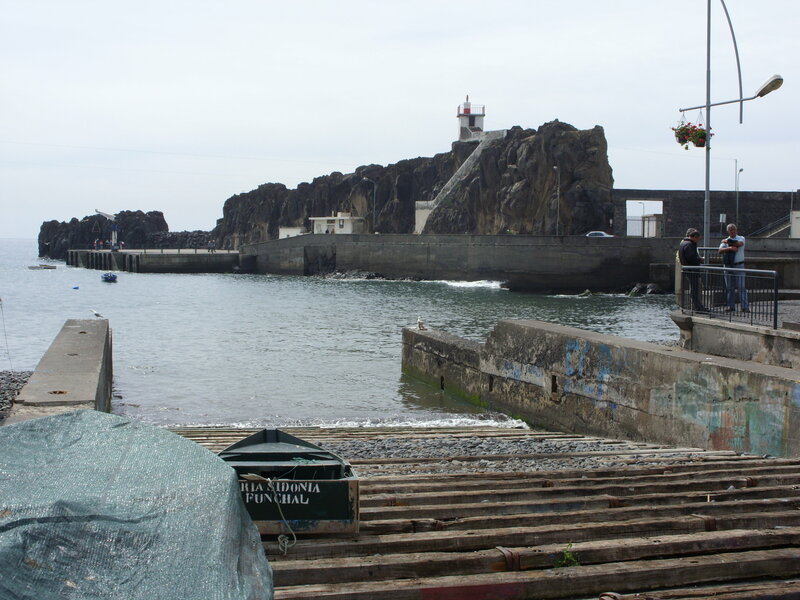 This entry was posted in Shadows in Sunshine and tagged Assassin, Camara de Lobos, Madeira, Secret Agent Thriller. Fishing Boat on December 10, 2014 by Richard V Frankland.